My Drop in the Oceans | Sustainable business “Sustain A Bum”! Future and present nappy-changers (and their thoughtful friends) be all ears! My Drop in the Oceans had the pleasure to welcome partner and sustainable entrepreneur Gabrielle Lods, founder of Sustain a Bum at their headquarters for an informative chat about her fabulous alternative to disposable diapers! Sustain a Bum’s vision is a world where everyone uses sustainable products, produces no waste and consumes few resources. 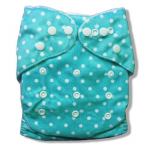 The first step of this vision is to reduce diaper waste and resource use in Europe and North America by providing stylish, reliable, one-size-fits-all cloth diapers to consumers. Disposable diapers use resources such as trees and plastic during manufacturing, then end up in landfills contributing to pollution and greenhouse gas emissions, in addition to being very expensive. 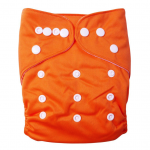 If you purchase a Sustain a Bum diaper pack (399 CHF) containing 15 diapers and additional accessories, it should have you covered for the entire time the baby will use diapers, avoiding the purchase of roughly over 5500 disposable diapers and enabling you to save around 1800 CHF. 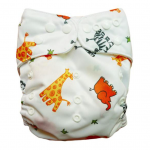 To this day, Sustain a Bum has helped to avoid over 200,000 disposable diapers. In addition, the diapers can be washed at 40 to 60 degrees and still kill germs – no need for higher temperatures – helping you to cut CO2 emissions and save energy. 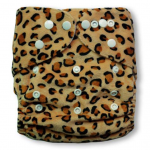 Cloth diapers allow the baby’s skin to breathe more, and another interesting plus is a current survey that stipulates babies who used cloth diapers as opposed to disposable diapers were potty trained up to 12 months earlier!